iOS 11 uses new video and photo formats that will help save storage space. Will new HEVC and HEIF formats work in older versions of macOS and iOS? For video, Apple is using the High Efficiency Video Codec, or HEVC. This is the successor to the old video format—in fact, it’s technically H.265—and offers high-quality video at lower bit rates than H.264. In an era where 4K video is becoming more common, HEVC is now being used to stream those ultra-high-resolution videos because of its improved efficiency. For still photos, Apple’s actually using the same HEVC algorithm—but sticking it inside a container using the High Efficiency Image File Format, or HEIF (pronounced “heef”). A HEIF file can contain multiple images, so it’s better designed for features such as Burst mode, and can also embed depth-map data like that generated by the two-camera system on iPhone Plus models or the front-facing camera of the iPhone X. Don't want to use HEIF or HEVC? You can change the settings in the Settings app. To force modern iOS device models to shoot in the old formats, tap on the Camera item in Settings, tap Formats and choose Most Compatible. If you choose this setting, your device will capture in the old formats—costing you space but gaining you the ultimate in compatibility. 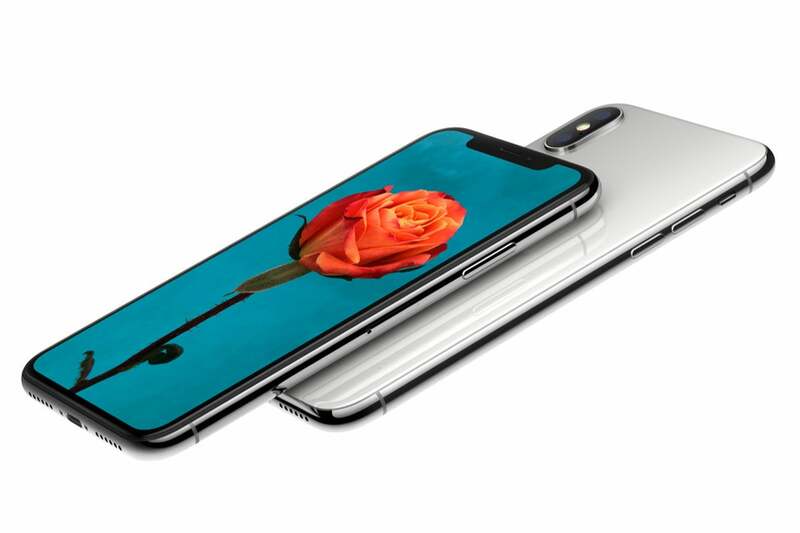 Before you flip that switch, though, you should know that Apple has taken numerous steps to make sure all the photos and videos on Apple’s latest devices aren’t incompatible with the rest of the world. If you try to share a photo or video and your device can’t confirm that the recipient is capable of displaying it—which for quite a while will be almost everyone—the file you share will actually be a converted version in JPEG or H.264 format. It all happens transparently. If you didn’t know it was going on, you’d never suspect. If you connect your iPhone or iPad to a Mac, you’ll need to upgrade that Mac to macOS High Sierra in order to read the HEIF or HEVC files. 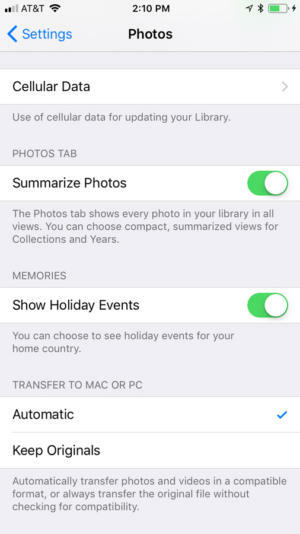 But again, Apple’s looking out for you: There’s a setting in the Photos sections of the Settings app that determines what sort of files get transferred from the iOS device to your Mac (or a PC, if you’re on Windows). By default it’s set to Automatic, meaning that if the iOS device can’t determine that your Mac is able to view the images and movies, it will transfer a converted copy instead. This works entirely transparently. 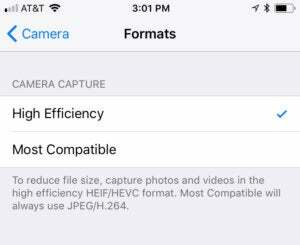 When I connected my iPhone 7 running iOS 11 to my Mac running macOS Sierra, and opened the Image Capture app, every image I had captured on my iPhone was listed as a JPEG—despite the fact that they had been captured as HEIF files. 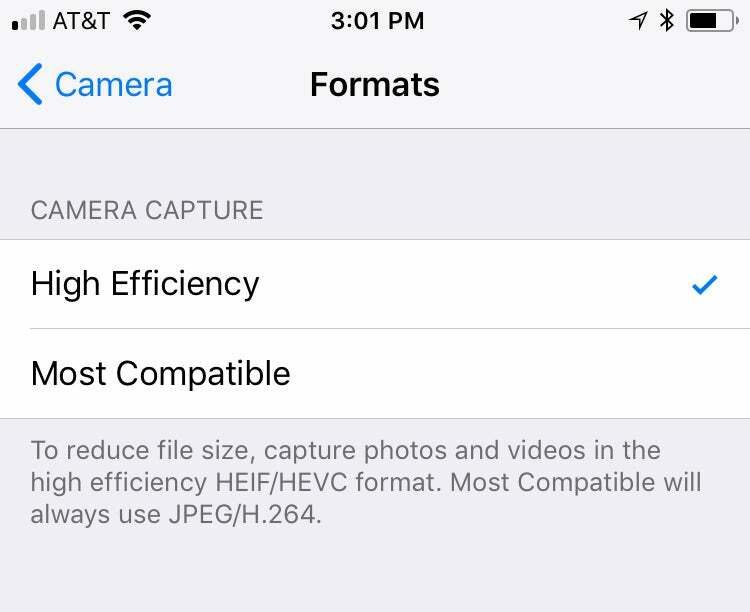 You can set iOS 11 to automatically convert your HEVC and HEIF files to a format that compatible with the device you're transfering files to. iCloud Photo Library tries to do the right thing, but with some severe limitations. A Mac running Photos on Sierra sees HEIF and HEIC files, but it can’t edit them. You can share them, although it appears that the shared versions of images are scaled down to a lower resolution. In short, if you’re planning on editing your photos on devices that won’t upgrade to macOS High Sierra or iOS 11, you may want to turn off this feature. There’s a lot to learn about these new formats. In the long run, they’ll be great for both your storage space and your data transfer caps because they’re much more space efficient. In the short term, Apple has bent over backwards to ensure compatibility over all else. And if you’re in doubt about that, Apple has even provided a setting that lets you turn the whole thing off until a time when you’re comfortable making the switch.